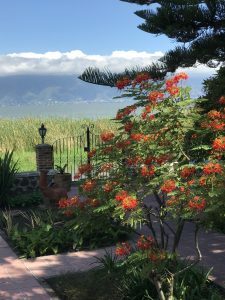 What’s on the South Side of Lake Chapala? 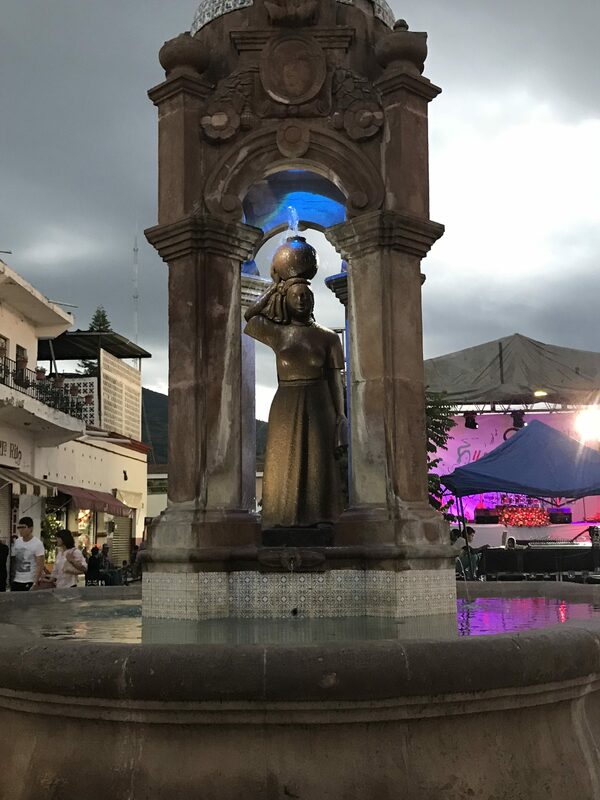 Mexico is full of treasures and lakeside is all around Lake Chapala, which the indigenous used to call the sea of Chapala due to its size. The north side of the lake that we commonly call Lakeside from east to west consists basically of the towns of Chapala, Ajijic, San Juan Cosala, and Jocotepec. On the south side of lake you’ll find from west to east the towns of San Luis Soyotlan, Tuxcueca, Tizapan, Sahuayo and Petatan (where the pelicans come to winter), Sahuayo and Jilquipan. We made a proposed itinerary that started at the home of local expats who live on the south side in a subdivision near San Luis Soyatlan called Puerto Corona. They have a beautiful lake front home and enjoy hosting parties for both their expat and Mexican friends. After a delightful visit, we stopped nearby to visit an interesting hotel/event center that is building a lakeside treehouse cabin/suite. In Tuxcueca we stopped to see the lake level coming right up to the malecon and to watch a funeral procession with mariachis playing a haunting yet beautiful tune. Then we headed to Tizapan where we found a beautiful colonial church. Having spent most of the day on the road, we were hungry, so headed straight to Sahuayo bypassing Petatan, where the pelicans are just beginning to arrive. the canonization of their Saint, Joselito, an 11-year boy who was tortured and killed by the government during the Cristero war. Our taxi driver took us to the shrine to Joselito and was very insistent that Joselito would give us any favor we asked and that we would need to return to Sahuayo to thank him for the gifts we are sure to receive. 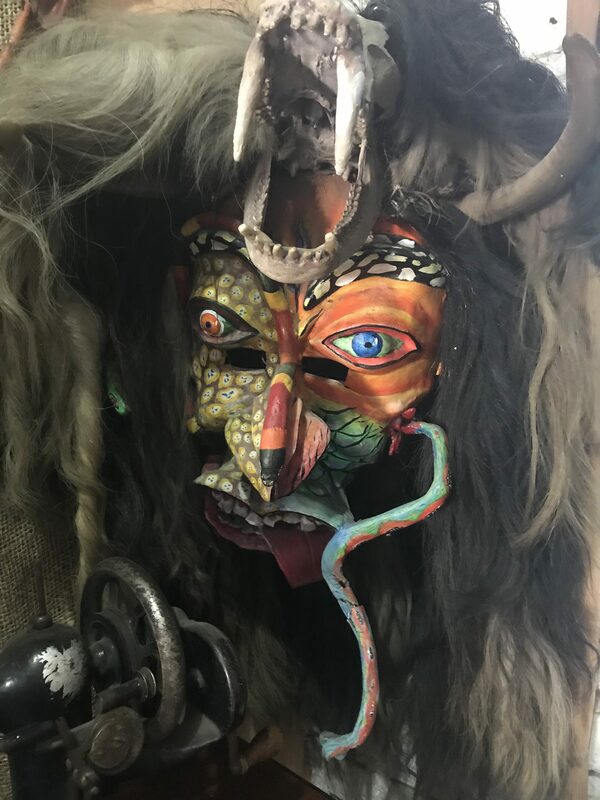 The Plaza Grand hotel was immaculately clean with large rooms for ~$35 USD per night, but when we return, we will try the Hotel Margaritas that has an interesting mask collection in the lobby. The next morning we walked the few steps to the taxi stand and got a taxi to Jiquilpan for ~$4.75 USD. Jiquilpan turned out to be the biggest surprise of the trip. 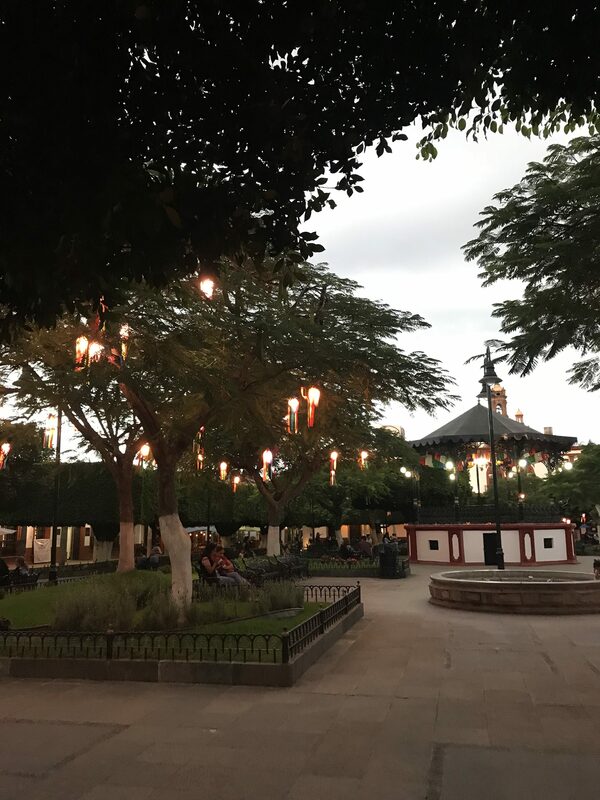 It’s a vibrant college town with two universities, two Mexican presidents were born here, and there is a something akin to a presidential library showcasing the life and works of Lazaro Cardenas, one of Mexico’s great presidents. 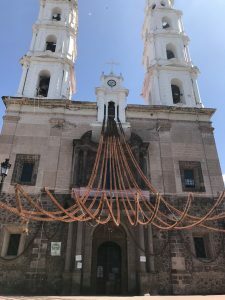 We were completely unaware that we had arrived on the anniversary of Lazaro Cardenas’ death, and were treated to an extensive tour with local dignitaries. Visiting this museum doesn’t require fluent Spanish since it is a largely visual display. After two exciting days visiting museums and touring the town, we hopped a comfortable bus back to Jocotepec for ~$6.50 USD and then got a taxi home to Ajijic for ~$13 USD, making this a very affordable and easy trip even without a car. Total cost of the 4-day trip was about $250 USD excluding food, which is generally ~60% of Ajijic prices. 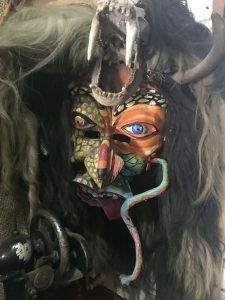 Next year, we’ll be doing Day of the Dead in Jiquilpan where they have an extensive 5-day program packed with activities. So come on down and experience all that Lakeside has to offer all the way around the lake. Who knows you may be one of those who prefer to live on the south side of Lake Chapala! 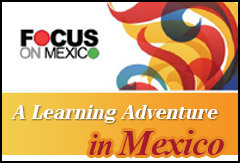 Focus On Mexico offers 6-Day Educational Programs to Ajijic and Lake Chapala, Mexico. 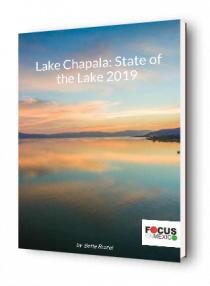 Join us and learn why thousands of Americans and Canadians chose to retire in Lake Chapala.